Foxconn Technology Group has purchased a downtown Milwaukee building to house its North American headquarters as it prepares to build a mammoth manufacturing complex 30 miles to the south. Foxconn purchased the seven-story building from Northwestern Mutual, which ceremonially turned over the keys to the Taiwanese company on Friday. Foxconn executive Louis Woo said about 500 people will work at the headquarters. It will also house what Foxconn says is an innovation center to help startups and entrepreneurs develop applications for the display technology the company is creating. 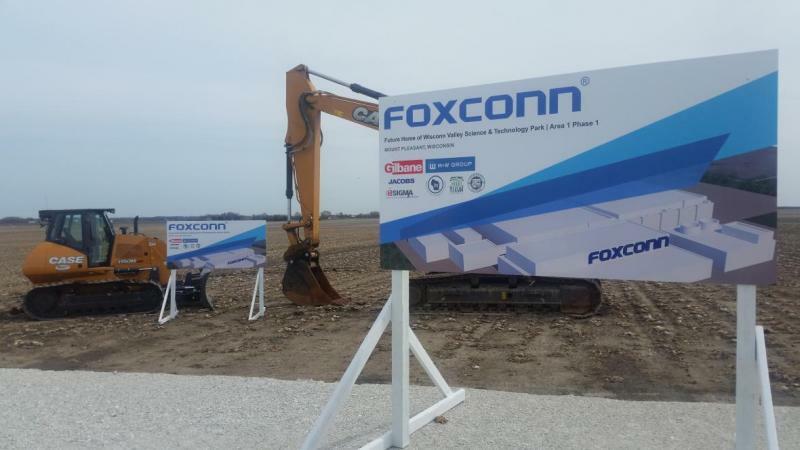 Friday's milestone has area leaders optimistic about Foxconn's commitment to the region. "They didn't just lease (the building), they bought it," said Milwaukee County Executive Chris Abele. "They're not here for a short term." Abele said Foxconn's partnerships with the University of Wisconsin-Milwaukee — five students from the university will intern in Taiwan — and local companies are also a sign that the company is making good on its promises. Still, Milwaukee Common Council President Ashanti Hamilton said it's still too soon to tell what will come of the project but said he likes what he's seeing so far. "It seems as if they’re making a very solid commitment to the region," Hamilton said. "There were many questions about whether they would be able to fulfill some of the promises that they have been making early on." The electronics giant is building a manufacturing plant in neighboring Racine County to make liquid crystal display panels for commercial and consumer uses, including televisions. The $10 billion plant is expected eventually employ as many as 13,000 people. Editor's note: This story was updated at 4:15 p.m. on Friday, June 15, with original reporting by WPR staff.